Agriculture had been studied as an academic discipline since the 1780s in Prague, but it was the emergence of the fledgling state of Czechoslovakia in 1918 that prompted widescale practical reforms to the agricultural economy. These included the 1919 Land Redistribution Act (which saw the transfer of farmland from the bourgeois estates to small and medium-sized landowners); as well as the foundation, in 1924, of the Czechoslovak Academy of Agriculture. 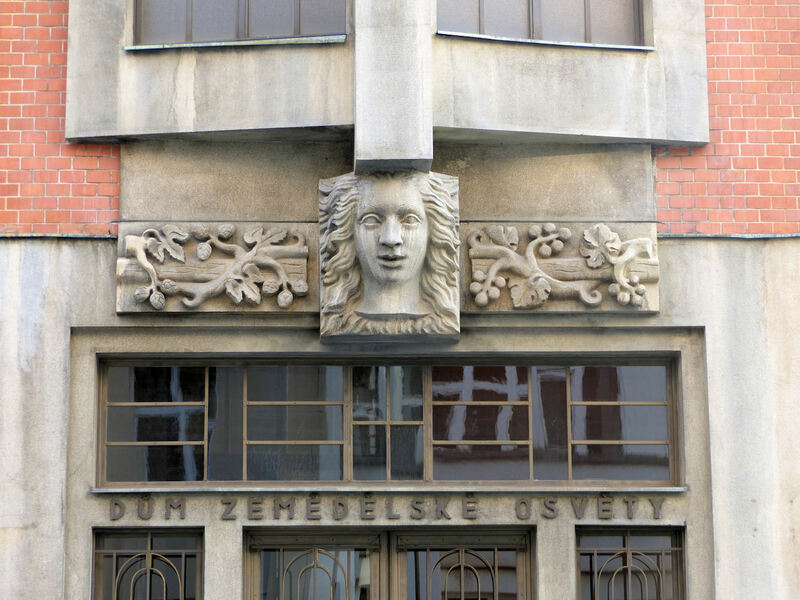 Between 1924 and 1926 on a triangle of land in Prague’s Vinohrady district, Josef Gočár’s monumental seven-storey ‘Dům zemědělské osvěty’ arose as the home of the new academy. 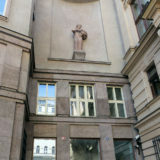 Designed to impress, the building echoes the surrounding historicist apartment blocks in terms of height and grandeur. 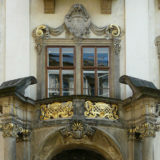 Unlike them, however, its exposed brick facade is notable for its plain surfaces and complete absence of ornamentation – except, that is, for the two allegorical bas-reliefs in the architrave. 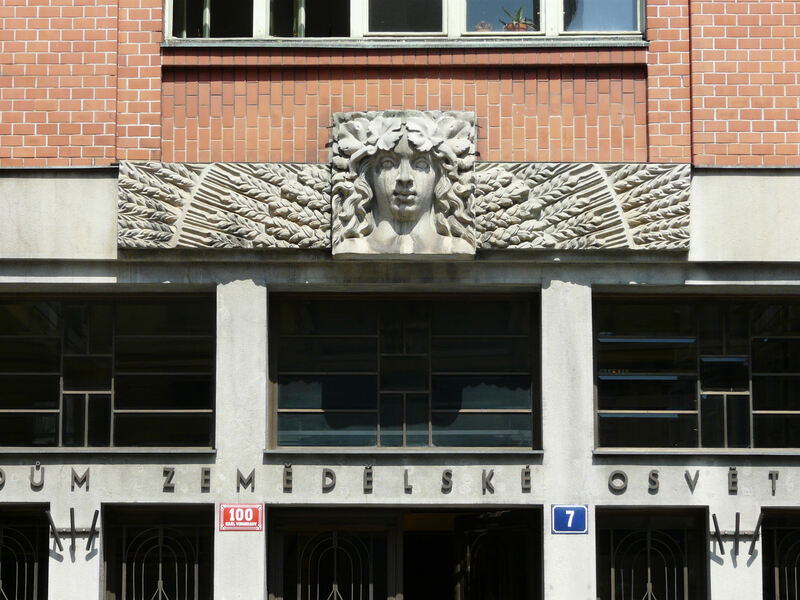 They were designed by the sculptor Otto Gutfreund (who also created the frieze for Gočár’s Bank of the Legions) and installed in 1927. 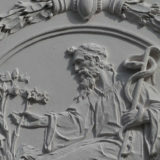 The sculpture on the south-facing side presents an allegory of abundance in the form of a head surrounded by ears of wheat; while that above the north entrance represents the cultivation of wine, with a head surrounded by vines and hops.